Before 1915 if you had a kite either you or someone else made it. 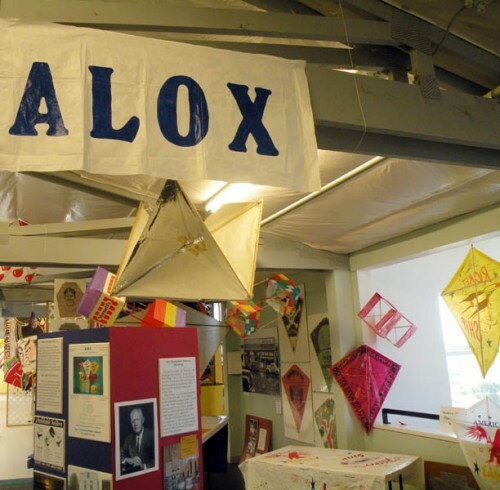 This exhibit describes one of the first kite manufacturers, John Frier, Sr. His Company named ALOX rolled off their self-created assembly line kites in 1927. The Museum, with the assistance of Frier’s granddaughter, Nancy Frier, has created the story of how this industry functioned and survived until 1989. 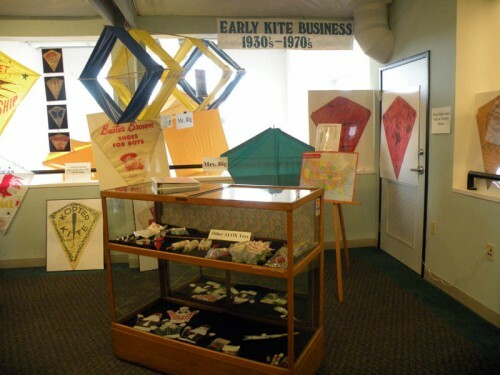 It includes the dime store and variety store outlets, the shift from paper to plastic, the inclusion of what were called promotion kites, and other necessities to prosper.